Hi! 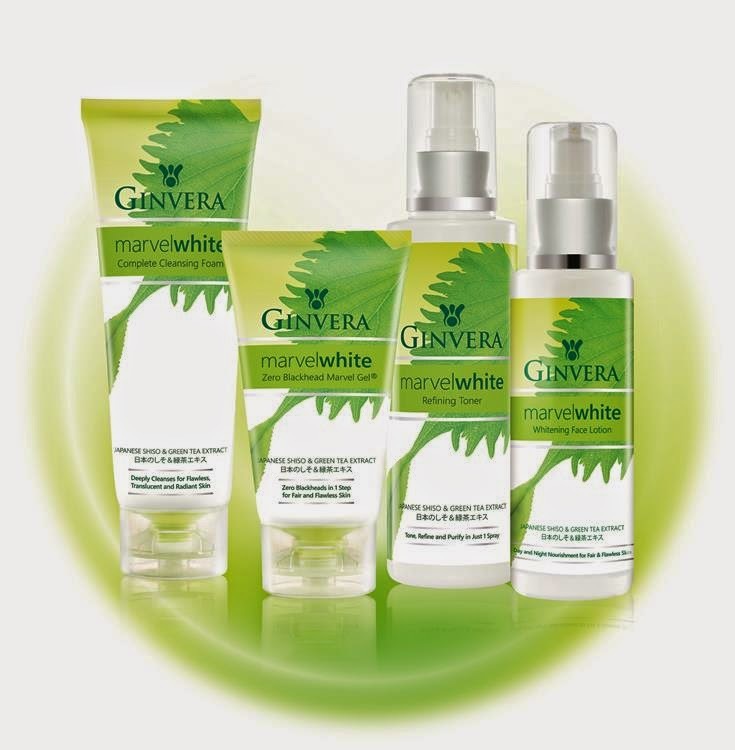 Do you remember the launch of Ginvera Marvel White which I attended last week? I have tried out the full range myself for 2 weeks, and now it's time to share my opinion with you girls especially those seeking for good, affordable skincare! 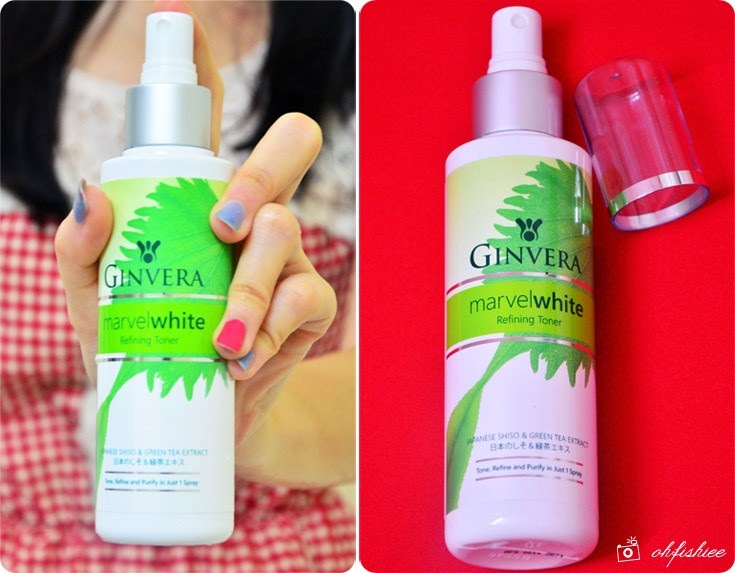 If you do not already know, the latest Ginvera Marvel White now comes in new formula-- Containing 2 unique Japanese antioxidants, Shiso and Green Tea, as well as an exceptional whitening ingredient, Swiss cress sprout and soy bean extract. so let's try them out! Blackheads and whiteheads are the enemies for almost everyone! Thanks to the Marvel Gel, I can now bid goodbye to dead skin cells, open pores and blackheads. The newly formulated gel is slightly green in color, exuding a very refreshing green tea scent. Unlike other facial scrubs, I feel that it is more gentle on the skin yet able to effectively get rid of blackheads without pain. The best thing is, it can be used daily for both female and male if you want to achieve fair and flawless skin. 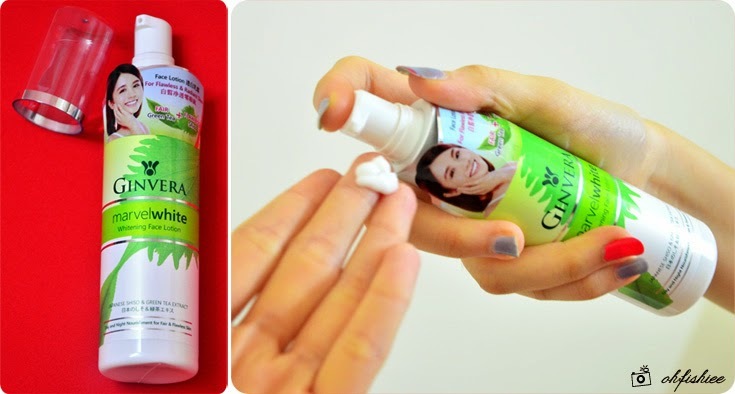 Just apply ample amount on dry skin especially the oily T-zone using dry fingers. Massage in circular motions until white flakes appear, those are dead skin cells and dirts from the skin. 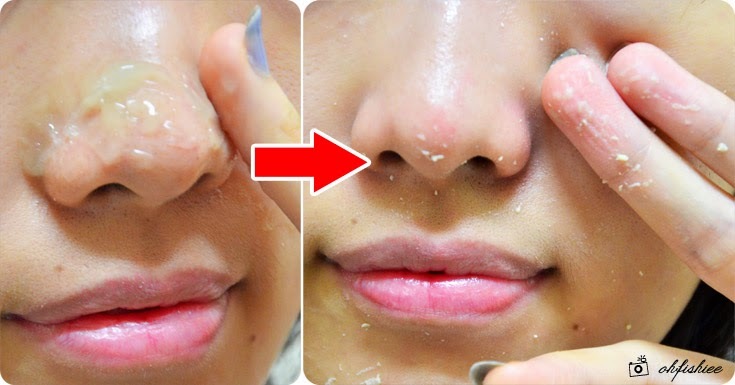 My nose area feels tightened and less oily immediately after using it! I notice that the cleanser foams up very well when applied on damp face in circular motions. As the creamy lather cleanses deep down into pores, it will naturally whiten the skin while removing trapped impurities and excess oil. Love the silky smooth and refreshing sensation after cleansing! Well, my dry skin is very sensitive towards cleansers that make it dry and tight. Although the Marvel White cleanser is not highly moisturizing, it still feels good and comfortable for me without any dryness. The toner is so convenient as it comes in a spray bottle. 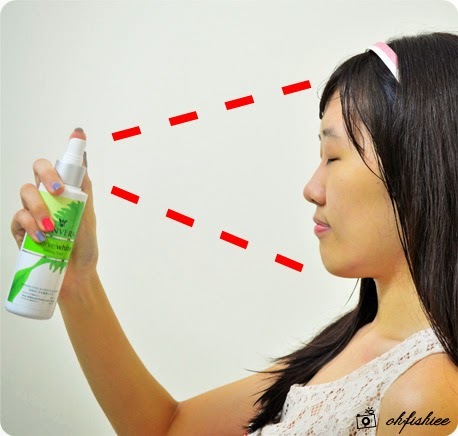 Just close your eyes and spray all over the face to refine, tighten and brighten the skin. Remember to gently tap for better absorption. I'm glad that it is easily absorbed without any stickiness on the skin. It smells great and refreshing too. Lastly, don't skip the day and night moisturizer! One or two pumps are sufficient for massaging over the entire face and neck. I love how the light texture melts seamlessly onto the skin, without leaving any greasiness. Here's the 4 steps towards flawless skin! #1 Overall, I haven't seen any whitening effect. But it helps in comfortably moisturizing the skin. A good try for me as it keeps the skin fair and free from blackheads, pimples and redness. #2 My personal favourite for the series is the Zero Blackheads Marvel Gel, thanks to its effectiveness in getting rid of blackheads! #3 Rating: 4.5/5 ♥ Great value for money, as you can enjoy a complete set of skincare without burning a hole in the pocket. 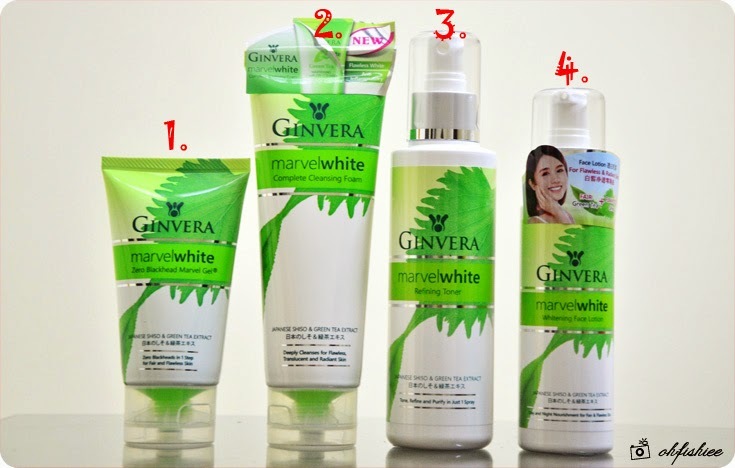 Ginvera Marvel White is widely available in Watsons, Guardian, Caring, AEON, Tesco, Carrefour, Giant, The Store, Econsave, Billion, Bintang, Parkson, Chinese medical halls and other leading pharmacies nationwide.